The view from deep within Zebra Canyon. A remote slot canyon in Escalante, Utah. 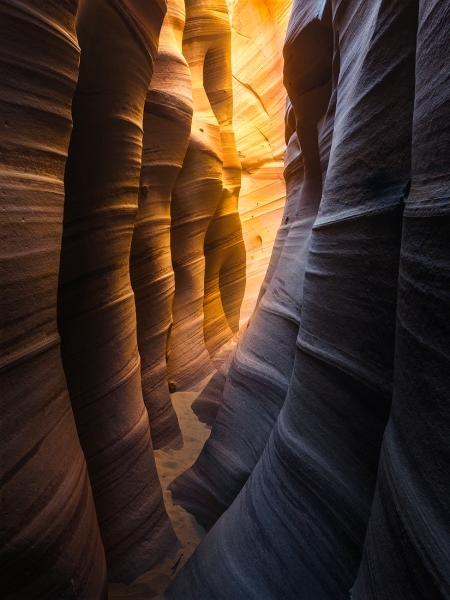 The colours, shapes, and light in slot canyons are a photographers dream. Secure your limited edition, Zebra Canyon print, 'If They Could Talk', by selecting your desired print size in the menu to the right.